The next few years will be full of changes for college-bound high school students because many of the exams that these students take will be revised – if not completely redesigned! ACT, Inc. is making many changes to their tests. First up is the elimination of the PLAN and EXPLORE tests, which are part of the ACT line of assessments. Both PLAN and EXPLORE will be replaced with ACT, Inc.’s Aspire tests. Aspire will be offered to students in grades 3 through 11; the tests are aligned to the new Common Core standards and are designed to evaluate student progress based on these standards. But the bigger change for most students will be the new digital ACT, which rolls out in 2015. Starting in Spring of 2015, students who take the ACT will have the option to take the exam by computer. The questions are supposed to provide a more “hands on” testing experience, but the content of the exam will remain unchanged. This change should not affect students in the graduating classes of 2013, 2014, and 2015, but those in the class of 2016 and beyond should be prepared for bumps in the road. Many states have come across stumbling blocks as they pilot computer-based assessments in the classroom, so it is likely that ACT, Inc. will also have some wrinkles to iron out in the first few months of the newly digitized exam. Competition between the College Board and ACT, Inc. has never been higher, so the relationship between the two testing behemoths is worth watching. In an attempt to remain competitive, the College Board is overhauling several of their biggest tests, including the PSAT, the SAT, and many AP exams. Last year, the College Board announced a redesign of the SAT, which was supposed to roll out in 2015. They have since revised that date to 2016, so the new SAT won’t affect students graduating in 2013, 2014, 2015, or (likely) 2016. But students graduating in 2017 and beyond must be prepared to face a new beast when sitting for the SAT. As with past revisions to the SAT, industry experts expect that a revised PSAT that will be administered in 2015 will reflect some of the changes coming to the newly redesigned SAT. Students who will take the new SAT should certainly take the revised PSAT in 2015 to prepare for the changes. There has been little official information announced regarding the specific changes to the SAT, but comments by top College Board officials shed some light on the areas most likely to change. I think when you think about vocabulary on exams, you know, how SAT words are famous as the words you will never use again? You know, you study them in high school and you’re like, gosh, I’ve never seen this before, and I probably never shall. Why wouldn’t it be the opposite? Why wouldn’t you have a body of language on the SAT that’s the words you most need to know and be ready to use again and again? Words like transform, deliberate, hypothesis, right? Based on Coleman’s past speeches, it seems likely that the vocabulary section will see some pretty massive changes – both to the words being tested and the ways in which they are tested. The 2015 PSAT should provide clues about the details of these changes. So if you look at the way the SAT assessment is designed, when you write an essay even if it’s an opinion piece, there’s no source information given to you. So in other words, you write like what your opinion is on a subject, but there’s no fact on the table. So a friend of mine tutors in Hong Kong, and she was asked by here Hong Kong students, where do you get the examples for the essay? She said, you know, it’s the American way, you make them up. Now I’m all for creativity and innovation, but I don’t think that’s quite the creativity we want to inspire in a generation of youth. That is, if writing is to be ready for the demands of career and college, it must be precise, it must be accurate, it must draw upon evidence. Now I think that is warranted by tons of information we see from surveys of college professors, from evidence we have from other sources, so I think there is good reason to think about a design of SAT where rather than kids just writing an essay, there’s source material that they’re analyzing. This has been a theme in Coleman’s comments on the revamped SAT. Moreover, colleges themselves dislike the SAT writing section with many pointedly ignoring writing scores and only utilizing reading and math scores as admission tools. 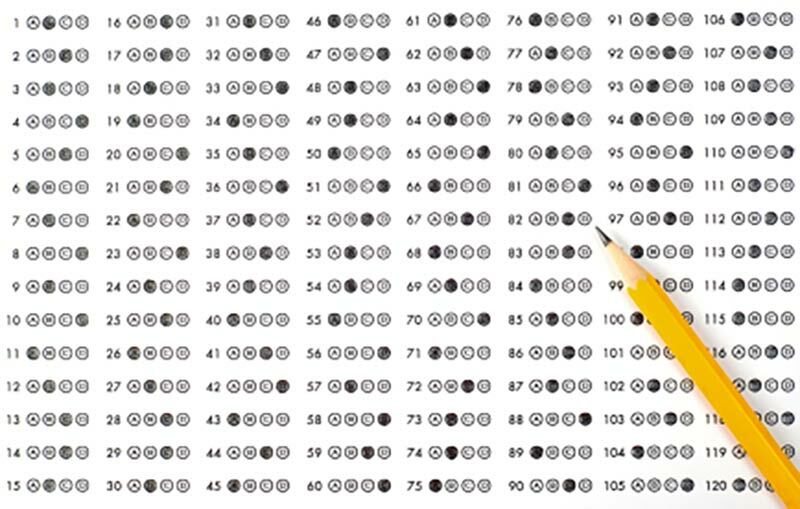 Given the widespread disdain for the SAT essay, it’s safe to assume that this part of the test will undergo drastic changes. In the end, it may end up looking more like the dreaded AP History DBQ (Document-Based Question), where students are provided with documents on which to base their arguments in response to a given prompt. Less has been said regarding the math section, but it likely isn’t immune to changes. Comments from Coleman and other College Board representatives suggest that the math section will have a greater focus on core math concepts, such as proportional reasoning, linear equations, and linear functions. The types of questions may also change to place a strong emphasis on the analysis and application of those concepts, suggesting that students might see more word problems on the new SAT. Last year, the newly revised AP Biology exam took effect, shocking many students and teachers with its deceptive ease. Although both students and teachers reported the perception that the new exam was far easier than past AP exams, scores did not support this conclusion. On the multiple choice section, students averaged 61% correct, down from 63% the year before. The score distribution also changed drastically, with far fewer students earning 5’s and far more students earning 3’s and 4’s than previous years. Don’t rely on old prep books because they won’t accurately reflect the new test. Use the College Board’s materials to study – they are the only people who know for sure what the new test will be like! As always, don’t cram! Prepare early! Next year, AP Physics gets its turn at bat. The AP Physics changes will likely be even more substantial because even the course names are changing to AP Physics 1 and AP Physics 2. This year, AP Spanish will also see changes. Next year, AP US History – one of the most commonly taken of the AP exams – will be revised. In 2015-16, AP Art History and AP European History will have their turn. Turkey Day Quiz: Thanksgiving Fun Facts What Is The PSAT And Why Should Your Child Take It?